First half of the year is GONE. Whaaaat? The sting is a little less intense as I sit looking out at the water on a beautiful sunny day. At this rate, before I know it, the lake will be frozen, and we’ll be back in the dead of winter. Ugh. So, I’m just going to focus on soaking up ALL the sunshine while casually and leisurely making progress on some of my quilty WIPs. Summertime is, after all, meant to be a slower time with more focus on outdoor activities. 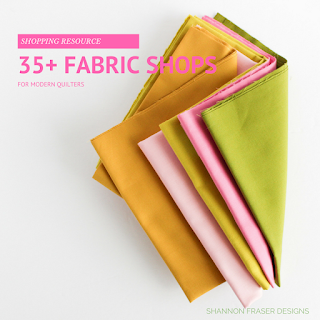 But, having become a die-hard quilter (no doubt that’s what they refer to us when we opt to sit under a quilt while hand binding away on hot summer days! 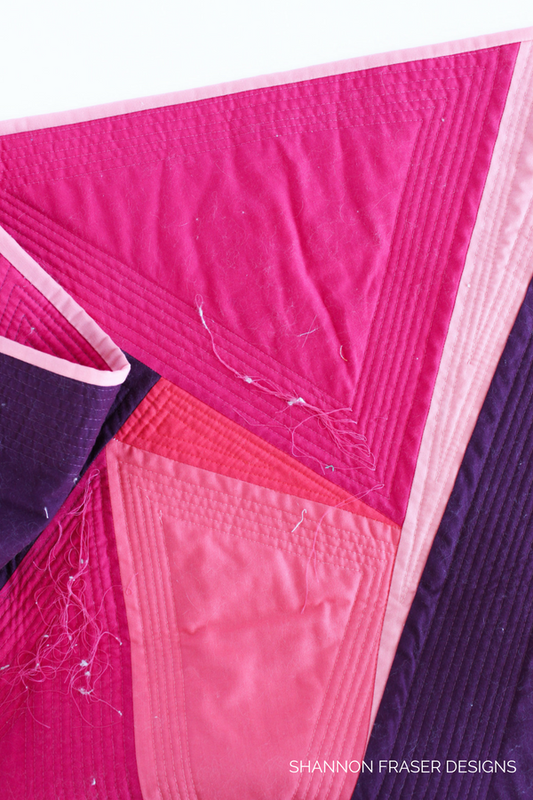 Die-hard or crazy – one of the two 😉) I can’t seem to resist the pull of my quilt projects. 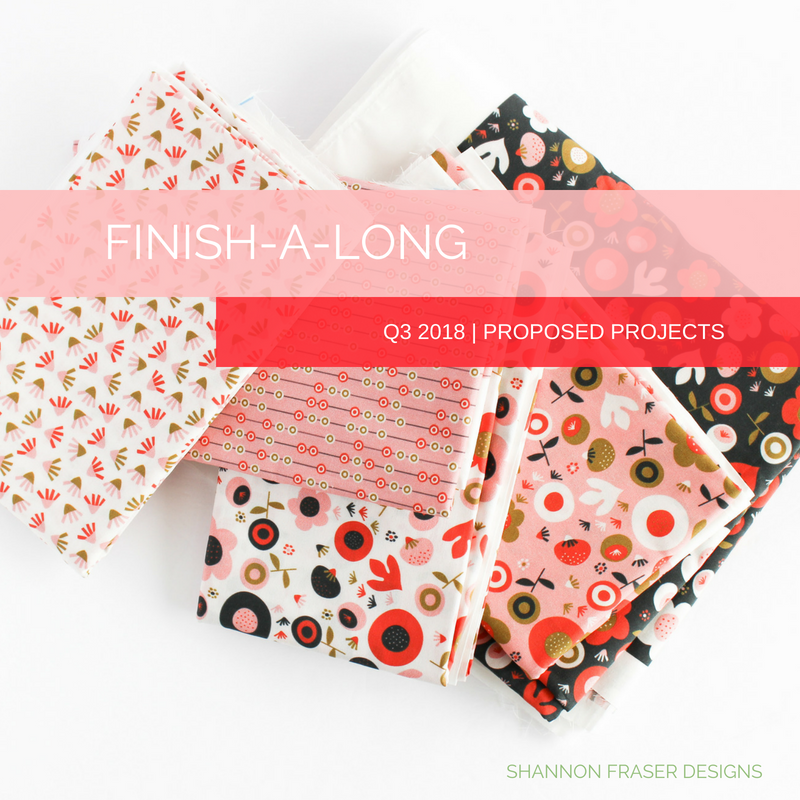 In any case, it’s that time again to join my fellow quilters participating in the 2018 Finish-A-Long and list out all the projects we hope to tackle this quarter. My progress last quarter was not as phenomenal as I had hoped it would be, so my list of completed projects is short. 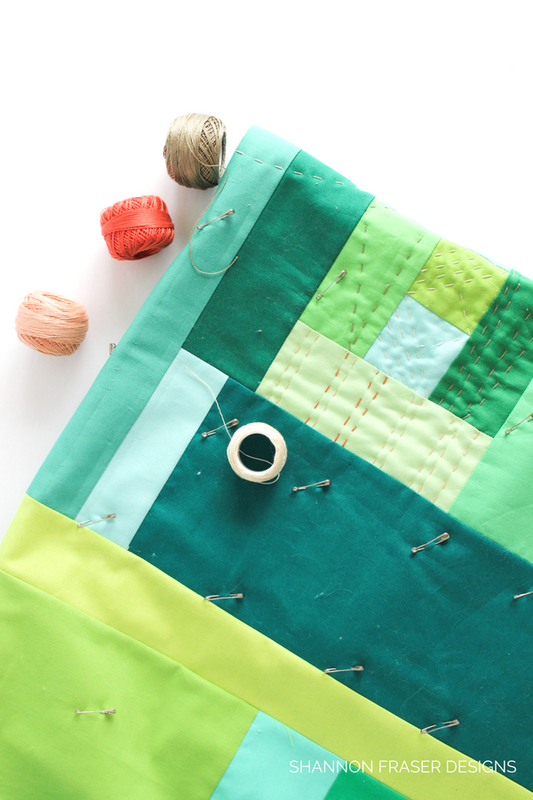 First up is my Modern Heart Quilt (which was secret sewing #3 on my Q2 FAL list) that I made as part of the #modernsewcialitesBOM blog hop. 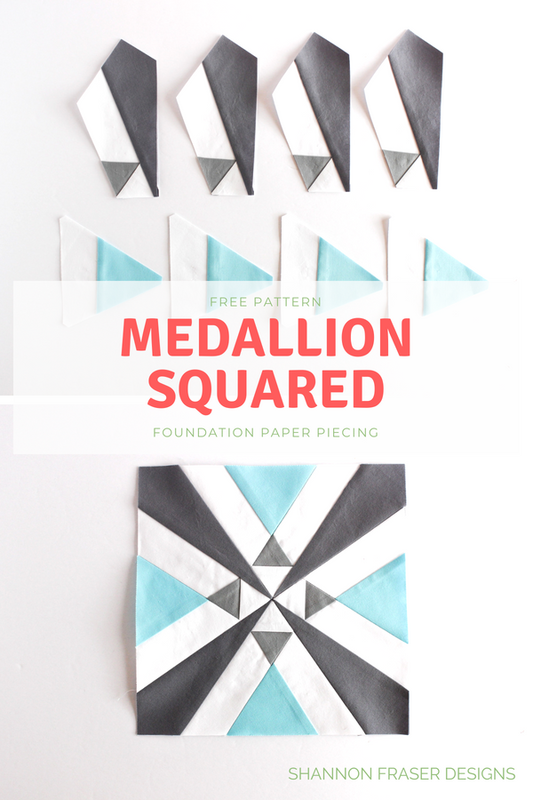 This fun, simple and super quick pattern is designed by Stephanie Kendron from Modern Sewciety as part of the Modern Sewcialites QAL. We were lucky enough to have Art Gallery Fabrics, Sulky Threads and Hobbs Batting provide the materials, which meant I got to try out some new quilting notions and materials. 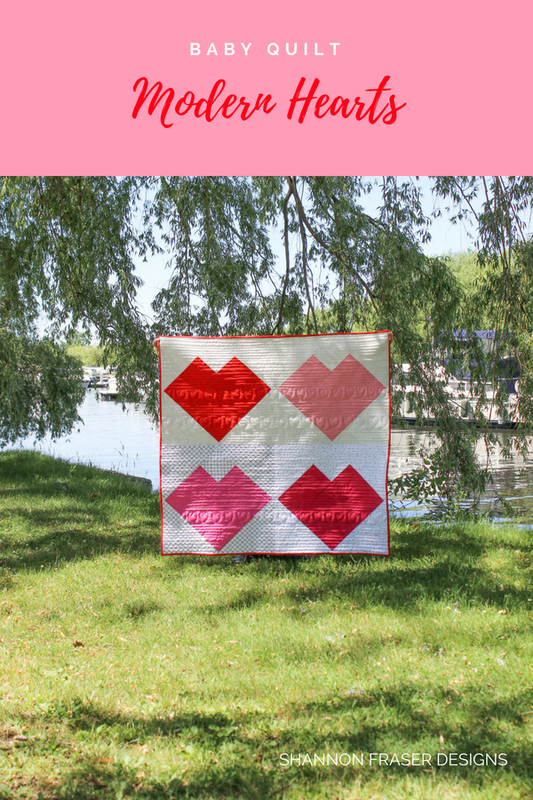 You can learn more about this quilt, what I thought about the new notions and a link to sign up for the quilt-a-long in my Modern Heart Baby Quilt post. 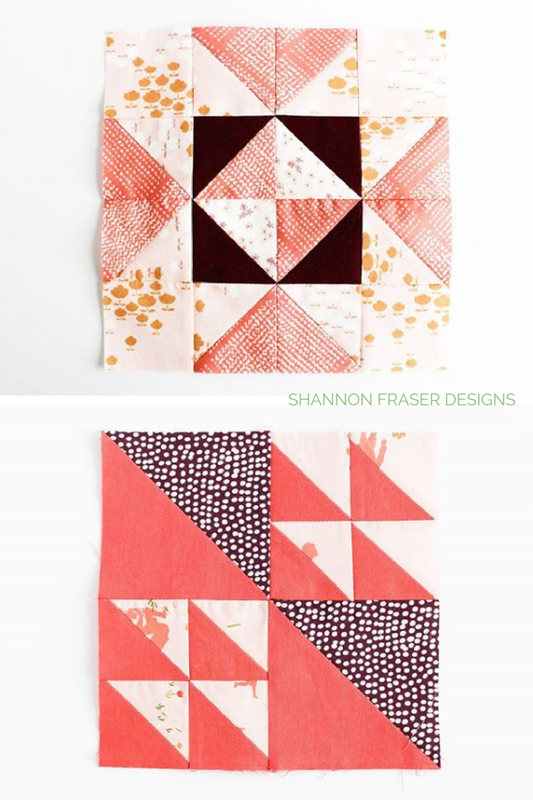 There’s a few reasons why I love the Forest Talk version of my Winter Star Quilt Pattern. From the moment I heard I had won the Crisp Forest Talk fat quarter bundle from Cathy Nordstrom, I knew I would be making a quilt for my mum. I’ve made her lots of things over the years, but a quilt wasn’t one of them and it was high time that changed. Is there anything better than creating something for someone you love? 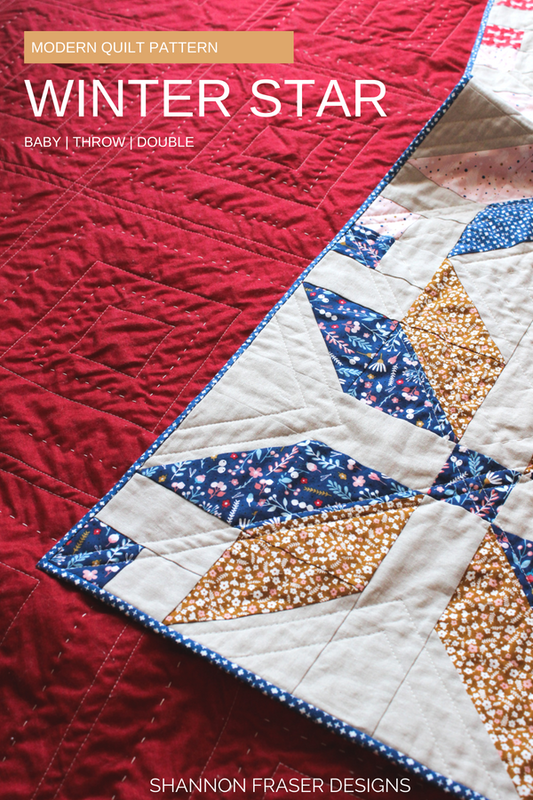 I also loved seeing how versatile the Winter Star quilt pattern looked by changing the fabrics. The first version I made was very simple with a strong Scandinavian feel. This one reads much more traditional, which is a departure from my usual style, but I really love how it turned out. 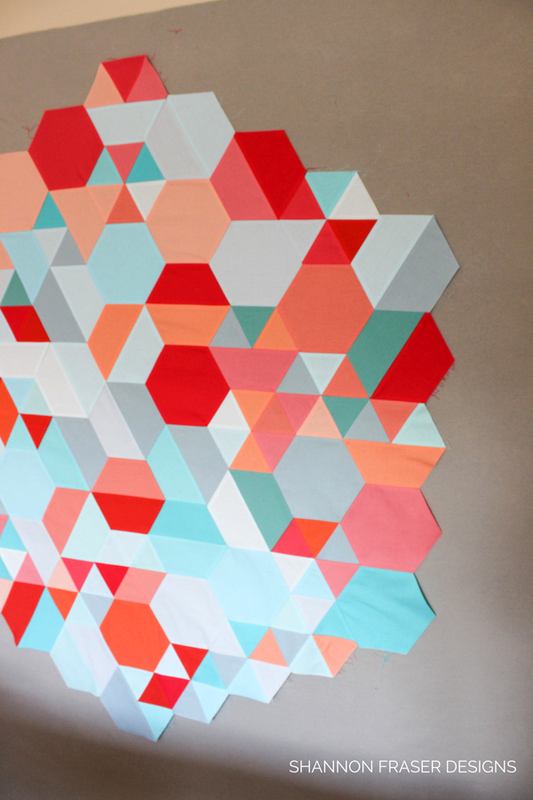 Get the Winter Start quilt pattern. This little pretty is done and has even travelled to Spring Quilt Market to be featured in Michael Miller Fabrics’ booth, but I just haven’t had the chance to share her here with you. I’ve already started drafting the post, so it shouldn’t be long now. 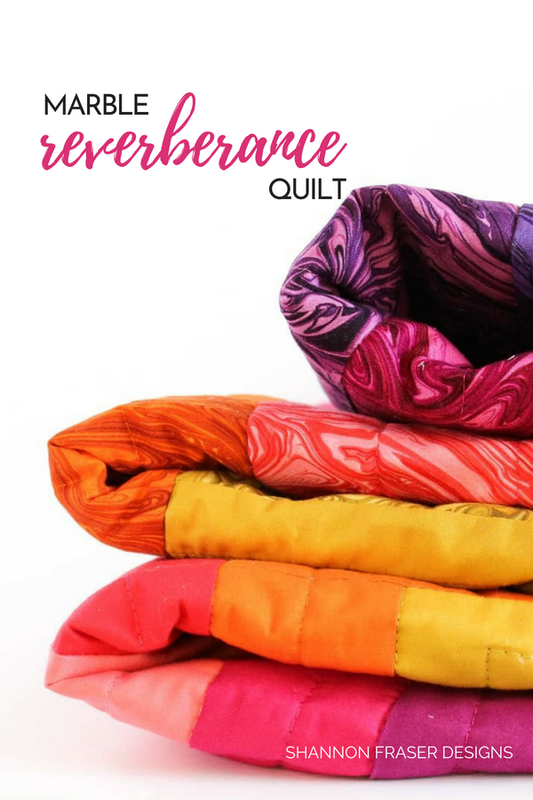 In the meantime, you can find the Reverberance Quilt Pattern here. April and May were busy focusing on my secret sewing project featuring these gorgeous fabrics from Karen Lewis Textile’s latest Blueberry Park fabric collection for Robert Kaufman. I adore Karen’s prints and this collection is no exception. I mean it has coral in it, how bad can that be?! Yup another secret sewing project. If you receive my newsletter (sign up here) then you know I’ve spent a good solid few months on secret sewing. 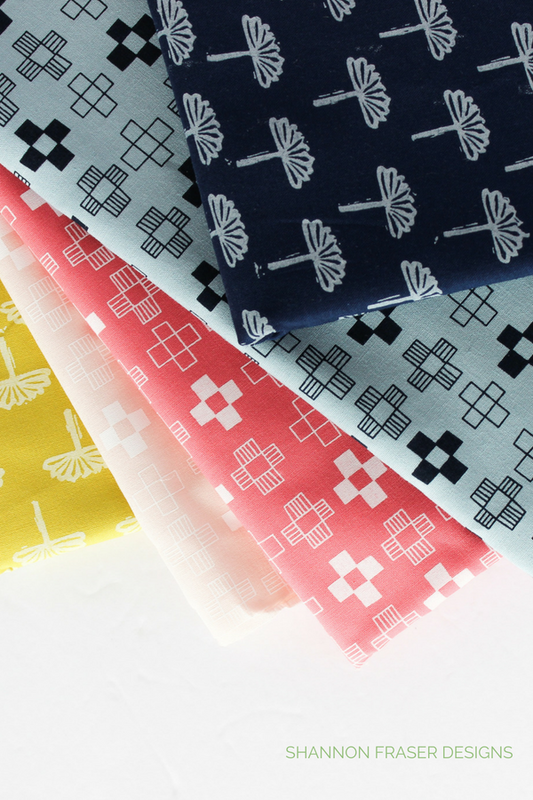 This new pattern will be featured in the 2019 Quilter’s Planner and focuses on these gorgeous Cotton Couture solids from Michael Miller Fabrics. 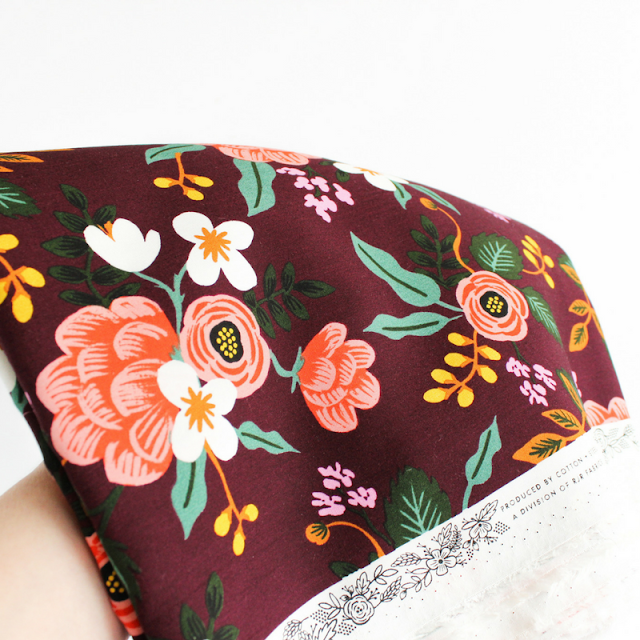 I’ve had this pattern drafted for quite awhile and it felt SO good to finally see it come to life. I made little to no progress on the following projects from my Q2 2018 FAL list. 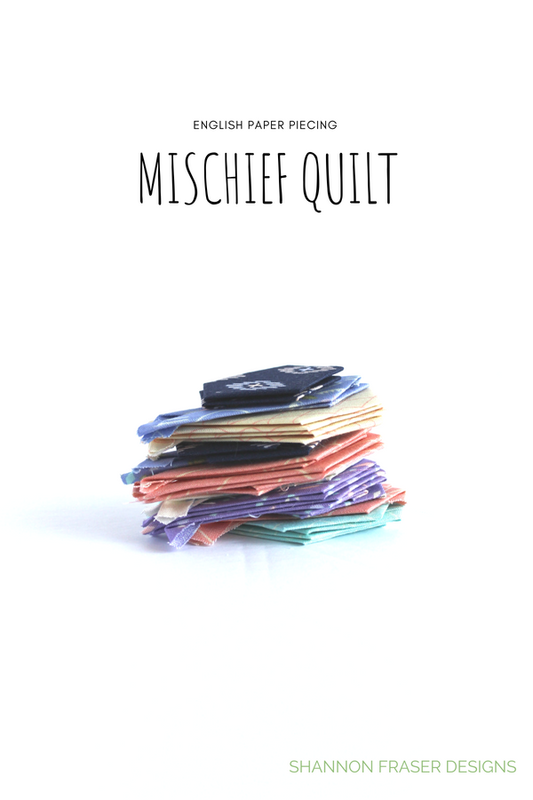 The quilt name will most likely change, but that’s how I’ve been referring to it so far. Considering all my secret sewing, I’m surprised with how much progress I made on this quilt. The quilt top is all pieced and I just received a new roll of batting. This time I went with white instead of natural. I’ve learned that I incorporate a lot of white in my quilts and, while I really like natural batting, it does dull my whites a little. So, even though white is more expensive, I’m going to try it out. 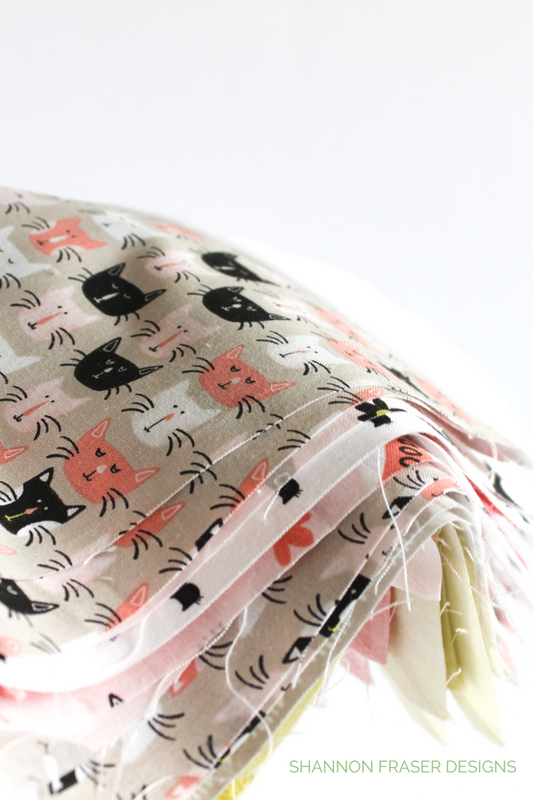 I was going to send this pattern out to my testers, but I think I may redesign it slightly. I like to make my quilts before sending them out for testing, so I’ll finish this one up and then try out the changes on a second version. I started this little wall hanging back in the fall of 2017, which for a mini seems crazy that it hasn’t been completed. But this project hasn’t been my focus and I’ve been turning to her when I needed a break from my deadlines. It’s nice to have a fun project on the go that breaks up the routine and just offers a chance to play. And that’s exactly what this one is all about – just having fun. No pattern. No plan. Just what strikes me in that moment. I got the hand quilting finished during my vacation and hope to get the binding done shortly. This one has a strict deadline, so it will definitely be getting done this quarter, but I won’t be able to share the details until the first quarter of 2019! That’s the challenge of working on secret projects is having to keep it under wraps for SO long. But the wait will be well worth it! And I can’t wait to share her with you as this one is a collaboration with Camilla Carvalho, a local surface pattern designer behind Oak Print Design. You don’t have to wait until 2019 to get your hands on these pretty prints, they’re available in Camilla’s Spoonflower shop. I’ve been staring at this lovely quilt draped over the back of my sofa for months as I worked on my secret sewing projects. She’s all basted and ready for my first trial quilting with 28wt Aurifil Thread. It’s been years now that I’ve been wanting to try 28wt thread, so staring at her has been a mix of anticipation and frustration! Does that ever happen to you? You really want to get to a project, but other priorities are getting in the way? In any event, I’m hoping this quarter I finally get her done – especially since I’m going to need some of those pins!! 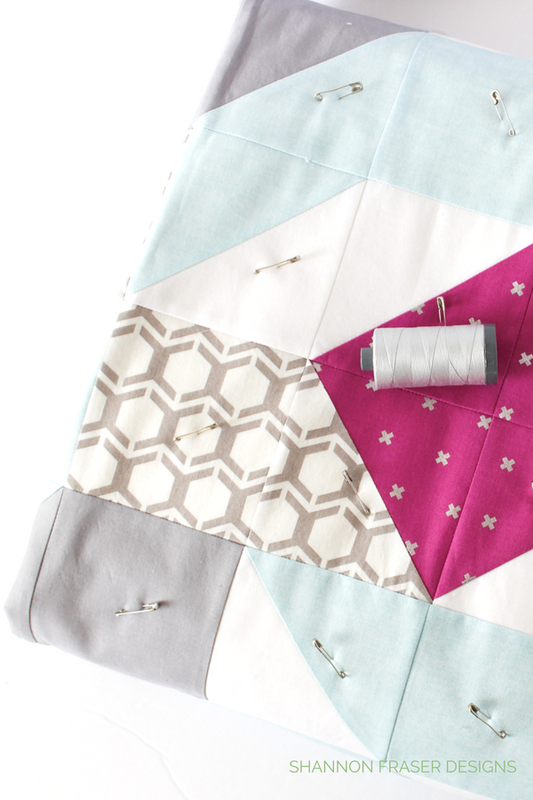 Get the Rocksteady Quilt pattern from Suzy Quilts. This one is a slow and steady WIP – emphasis on s-l-o-w! I did manage to sneak in a couple of blocks. You can read more about this English Paper Piecing project here and find the pattern here. I didn’t tough this project this past quarter – unless of course you consider taking them out of the zip lock bag they’re stored in and flipping through the blocks as progress? I suppose reminding yourself of what you’ve done so far is somewhat progress. Or is that totally stretching it?! Not sure what my problem is, but I still haven’t ventured out to find myself some frames for these cute little improv minis. I made them all the way back in 2017 when Suzy invited me to make one for her Fabric Play: Sewing Mojo Minis Craftsy class. I did check out Suzy’s post on how to frame these minis, so that’s progress, right?! 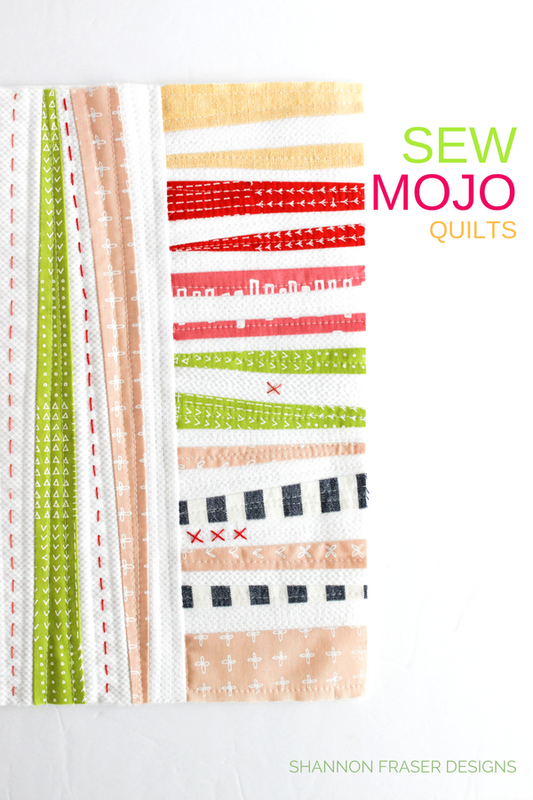 You can find Suzy Quilts’ Sew Mojo bundle here. Another project that didn’t get touched this quarter. But I have been setting aside my old needles for this project. 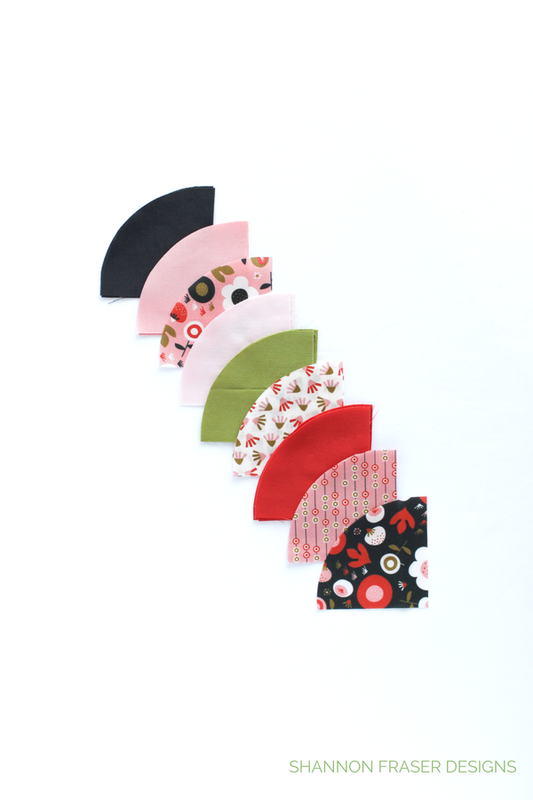 Do you use fresh needles or used ones for foundation paper piecing? Get the free pattern when you sign up for my newsletter here. I think of my Sewcial Bee Sampler project every time I open my fabric cupboard as this beautiful Menagerie Birch Eggplant Rifle & Paper Co. for Cotton + Steel backing stares back at me. I’ve only got 1 row left to tackle and then it’s onto basting, quilting and binding. Here is Row 1, Row 2, Row 3 and Row 4 that have been completed. I have two quilted pillows that haven't really been enticing me, which probably explains why such small projects are still sitting incomplete in my WIP pile. No doubt one day the mood will strike, and I’ll get them done. Yup, still at the thread burying stage. Thread burying isn’t my fav task. What about you? BUT I am thrilled to say I finally made some progress! It’s been months and months, possibly even over a year, since I last buried a thread on this mini. That all changed this past Sunday and it felt so good to get some of those loose threads cleared away! Still have quite a bit more to do, but I’m definitely over the half-way mark! 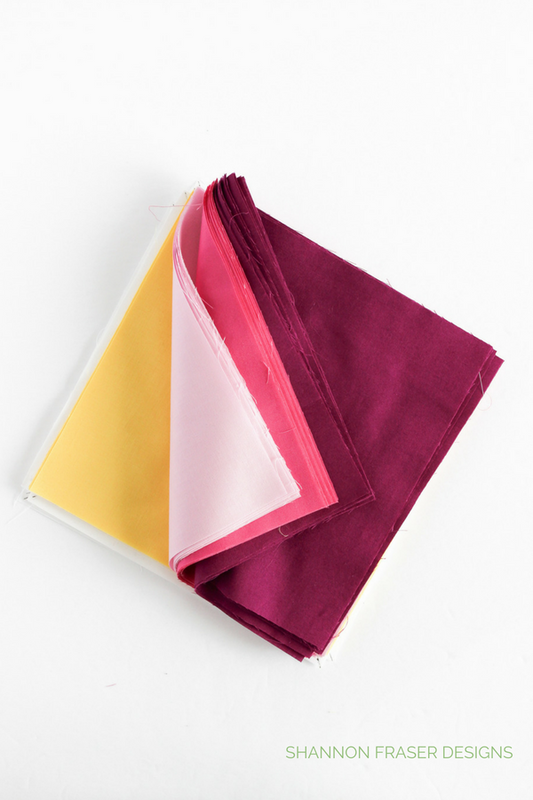 I’ve been thinking about my Weight of Love quilt wondering what binding I’m going to use. Strange I know, as I’m far from the binding stage. 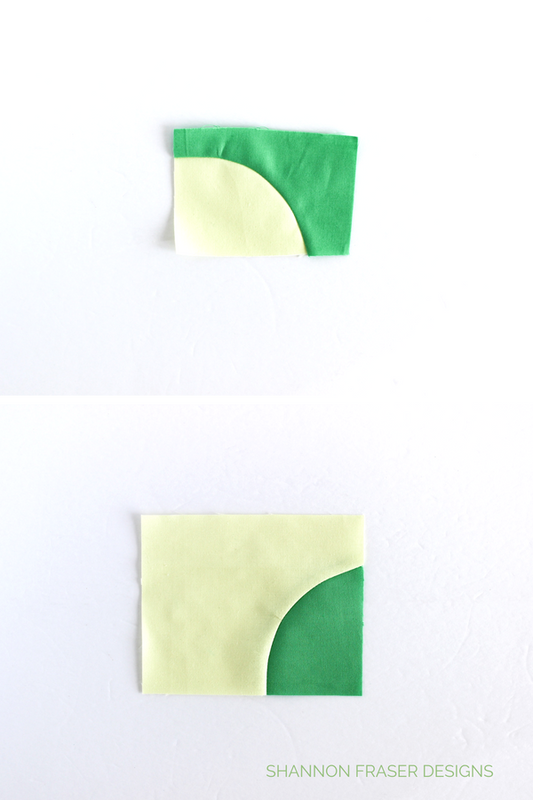 I had planned on using the leftover fabrics, but then I went and used them for my 100-day Project. Oops. Even with the lack of progress in the last quarter, I can’t seem to resist adding new projects list! Whether I get to them or not, I do like having a central place where all my projects and ideas are captured. So, with that in mind, here are the new quilt projects I hope to make this quarter. 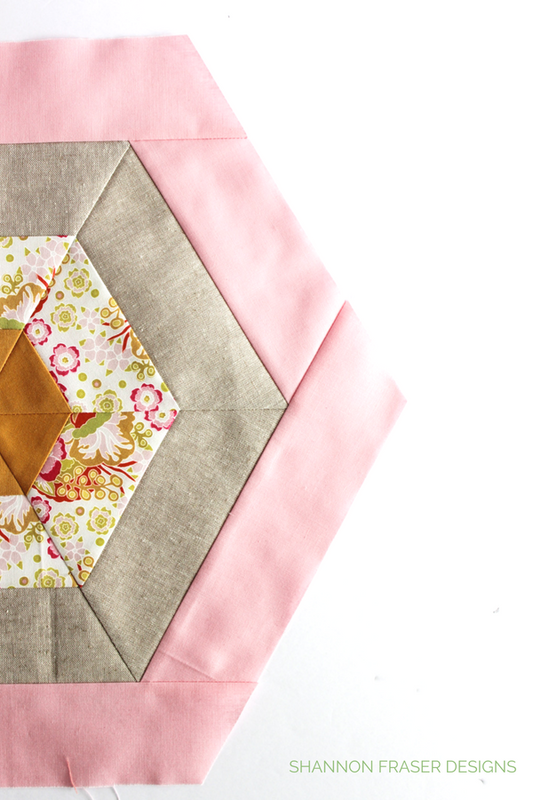 Get the Bohemian Garden Quilt Pattern, designed by Suzy Quilts, here. And that sums up my Q3 2018 FAL list! Can’t wait to checkout the link-up and see what all of you are getting up to! Gorgeous stuff! Thanks for linking up to the FAL, on behalf of the global hosts. Have fun with your projects!